The updated XPS 15 features latest-generation Intel and Nvidia chips and a larger battery too. What do you call a new 15-inch laptop that offers the latest Intel and Nvidia chips along with a giant battery and 32GB of RAM? Dell’s answer: not the Apple MacBook Pro 15! Nope. 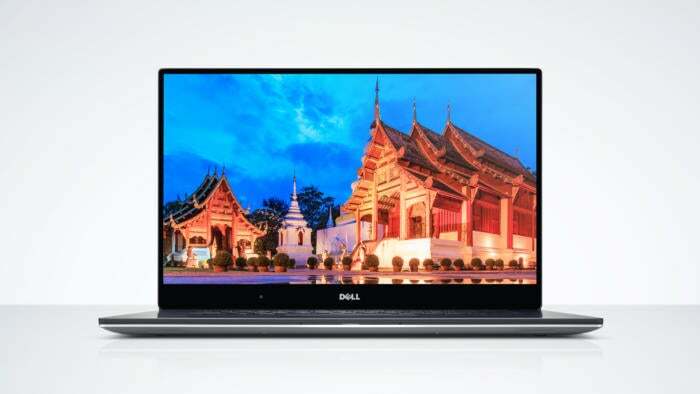 If you want the latest tech and a ton of RAM, Dell says to skip that MacBook Pro 15 in favor of its own updated XPS 15, which as of Thursday, now packs Intel’s latest 7th-generation Kaby Lake quad-core CPUs along with Nvidia’s new GeForce GTX 1050 GPU. For the most part, this is an iteration of the XPS 15 which got a full redesign last year. Most of the remaining upgrades to the XPS 15 are evolutionary but that can be a good thing since the company isn’t actually taking away your favorite ports just to torture you. Besides the full-sized HDMI port, you also get a Thunderbolt 3 port that supports charging along with two USB Type A at 3Gbps and an SD card reader. Since the XPS 15 also supports the legacy barrel charger, you won’t lose a port when you charge the device. And yes, while MacBook Pro fans have been screaming over Apple’s decision to limit the MacBok Pro to 16GB of RAM, Dell can pack the XPS 15 with up to 32GB of DDR4 memory. Screen options include a non-touch, 1920x1080 screen as well as a 3840x2160 UltraHD touch panel rated for 100 percent of the Adobe RGB. That 4K panel also includes 10-point touch with a Corning Gorilla Glass layer for protection. We know a few things about the 7th-gen Kaby Lake CPU so far. On desktops where thermals don’t constrain it, it’s a marginal upgrade over the 6th-gen Skylake CPU. On laptops where power and heat are problems, Kaby Lake offers more of a performance bump. Storage options includes a plethora of devices including a traditional 500GB hybrid drive, a 1TB hard drive paired with an M.2 drive using Intel’s Smart Response Technology caching, or a straight M.2 PCIe SSD in 256GB, 512GB, or 1TB capacity. Configurations with hard drives are limited to a smaller 56 watt-hour battery. Forego that and you get an upgrade. That’s because rather than reduce the battery capacity from the previous model like some companies do, Dell actually increased it. For example, the Skylake-based XPS 15 boasted an 84 watt-hour battery. With the new 7th-gen Kaby Lake that increases to 97 watt hours, which is just shy of the 99 watt-hour maximum allowed by law for air travel. Prices for the new XPS 15 start at $999.